2018 has been an exciting time in my exhibition calendar with the focus around Savile Row, London. 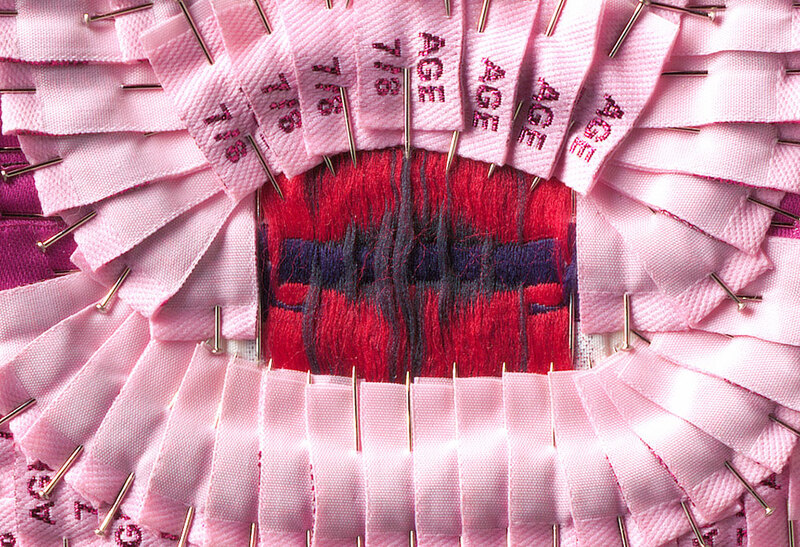 I have produced highly detailed work in collaboration with Piccadilly tailor Benson & Clegg. A canvas so precisely measured that it tested even my technical skills. The portrait of King George VI is a permanent feature at Benson & Clegg and lists the George Cross recipients awarded from 1940-2018. Please visit the shop to view the portrait during opening hours you would be most welcome. I have also produced a portrait of Horatio Nelson using Savile Row’s Davies & Son bespoke label. Although minimal in design compared to King George VI this canvas also tested my skills. It is clear to see my decision-making processes allowing the visible sketch to be seen and making suggestions of Nelson’s coat rather than including the whole detail. A highlight of 2018 was selection for the Royal Academy 250th Summer exhibition, both portraits selling at the private views and a second commission as a result of the exposure, thank you Royal Academy. I must also mention a local exhibition at the wonderful 19th century Framework Knitters Museum in Ruddington, Nottingham back in May 2018, it was great to be involved in this exhibition. Looking ahead to 2019 I can confirm that I will be showing work as part of the INNOVATE exhibition at Derby Royal Hospital from 18thMarch, and also taking part in North Norfolk Open Studios from 25thMay – 9thJune 2019. My research during 2018 has taken me north, south and east. North to visit the Nelson Monument at the top of Calton Hill in Edinburgh, the tower recalls Admiral Lord Nelson's victory, and death, at the battle of Trafalgar on 21 October 1805 (aged 47). Also heading south to London to visit Nelson’s Column and the Maritime Museum at Greenwich. I recommend visiting this amazing exhibition if only to see the actual coat that Nelson was wearing at his death. Finally I headed east to Burnham Thorpe in Norfolk, a sleepy little village and the birthplace of Horatio Nelson on 29th September 1758. Nelson’s portrait is available to view at Davies & Son, 38 Savile Row until January 3rd 2019. 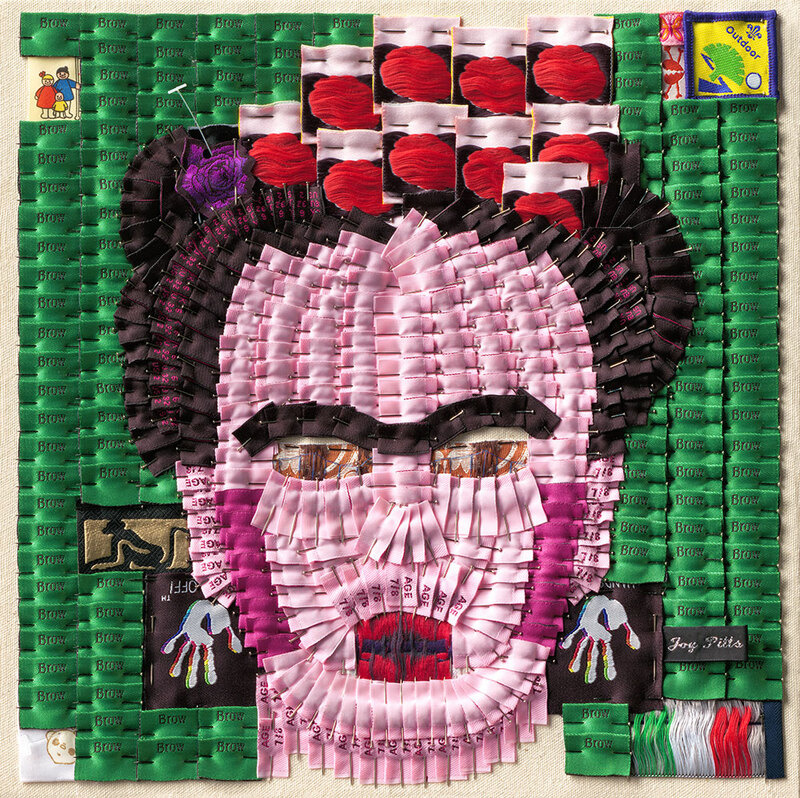 Limited Edition print available of Frida Kahlo, 32 x 32 cm, Edition of 195. And that's a wrap for the #RASummer, thank you for visiting and for all the amazing comments. Two of my artworks have been selected for the Royal Academy Summer Exhibition 2018. I decided to respond to the call out by Grayson Perry to produce work for his 'Room of Fun'. The two original works have now sold but Limited Edition prints are available, 33x33cm. The exhibition runs until 19th August 2018. The McAulay Gallery Royal Academy of Arts London W1J 0BD. Grayson Perry has curated a 'room of fun' to celebrate 250 years of The Royal Academy Summer Exhibition 2018. The collection of portraits look really cool and the McAulay Gallery is free to visit, it can be accessed through the vaults or via the new entrance in Burlington Gardens. 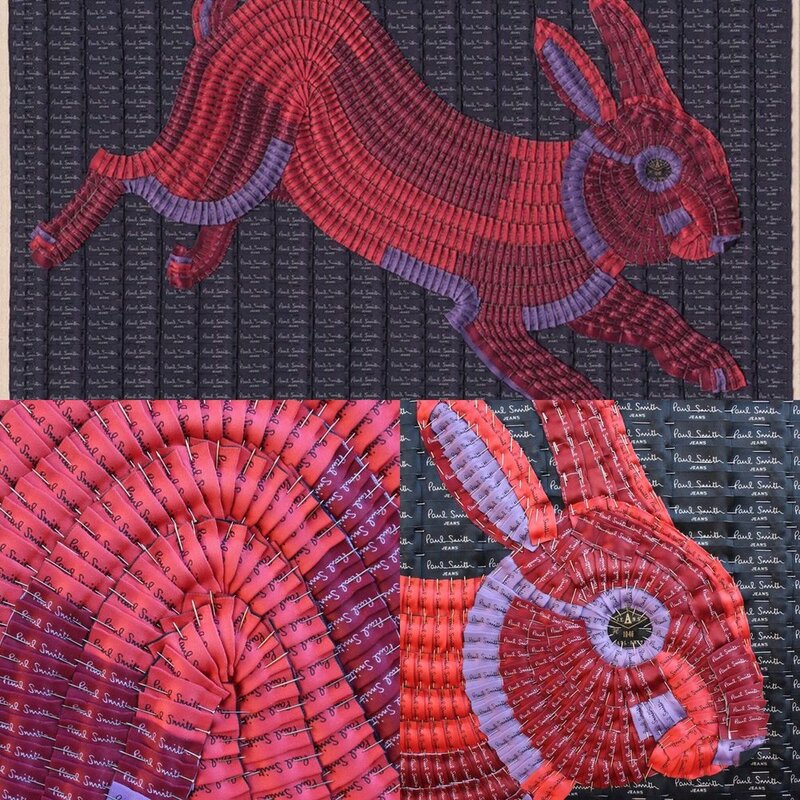 I donated a Red Rabbit Paul Smith print today to raise money for Maggie’s Nottingham, they support people affected by cancer. Delighted to say that print 17/150 now belongs to the chair of Nottingham Playhouse Trust. I met some amazing patients and wonderful volunteers. The ladies lunch was hosted by Saint James Hotel, Nottingham and Mark Dennison from Radio Nottingham. If anyone would like to purchase a print they are available to order with a donation to Maggie’s. Window Exhibition at Benson & Clegg, 9 Piccadilly Arcade, Jermyn Street, London SW1Y 6NH. King George VI portrait with 418 George Cross recipients, and Benson & Clegg bespoke label (Royal Warrant to His Majesty King George VI). The portrait will mark the 65th anniversary of Queen Elizabeth's coronation. This was a review in The Times Culture magazine about The Royal Academy Summer Exhibition, page 11 on 10th June 2018 written by Laura Freeman. 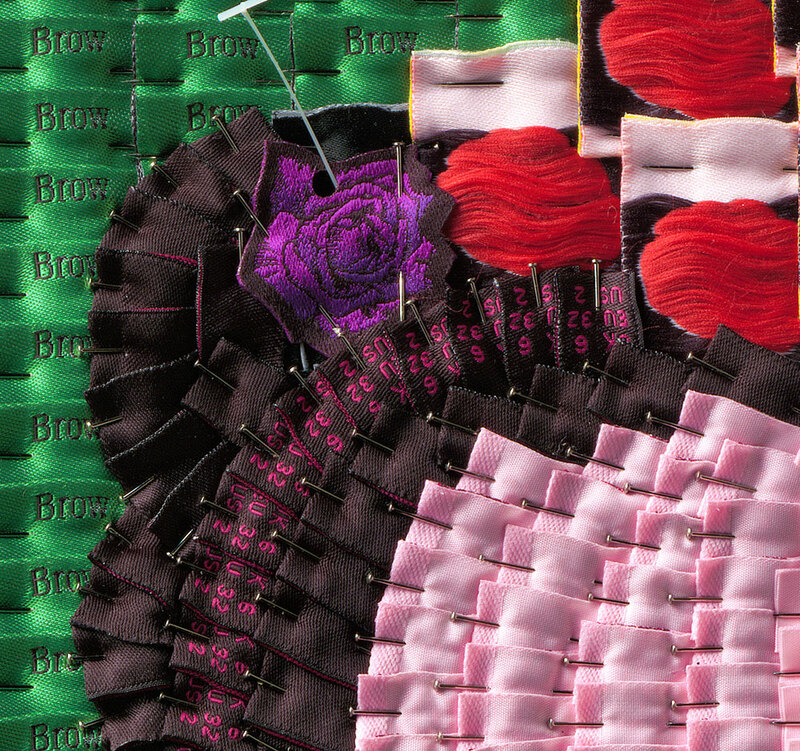 Turning thousands of clothing labels into works of art.